Dental care is a crucial part of your general health. Untreated dental issues can result in symptoms such as loss of teeth, infection or pain. 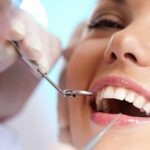 Even for people who regularly get their teeth checked and take preventative measures, it is essential to make sure that they have a good dentist. Some people dread going to the dentist but finding one you like guarantees that you will be committed to regular visits. Before you make an appointment, take a moment to think about whether your dentist is consistent and efficient. Instead of basing your decision on one experience, assess a dental care professional according to their processes. Fancy equipment and stylish offices may look inspiring but the reality is that you are investing in a medical procedure that involves being examined, diagnosed and treated. A good dentist aims to educate their patients about proper oral care and the treatments that are suggested. Dentists should encourage patients to develop and maintain proper preventative care habits. Great dentists have extensive knowledge about oral hygiene and teeth. They have the ability to identify problems quickly and offer effective treatment. A dentist is expected to stay up-to-date with latest innovations in healthcare technology and include new equipment and techniques into their practice. A dental care professional pursues opportunities for ongoing education to keep up with changing technology and new research. Being dedicated to learning and remaining at the forefront of the industry is vital for a successful dental career. A good dentist creates a welcoming atmosphere in the office. Patients should never feel uncomfortable or rushed. Each member of staff is helpful and friendly. Dentists are aware of the importance of involving their patients in decision making when determining treatment. They enable patients to evaluate their records and provide explanations for all the treatment options. A dentist knows that the patient often needs to take charge of their treatment. A dentist needs to be compassionate and honest. Dental problems have the potential to affect numerous aspects of an individual’s life. Dentists should be sensitive to the challenges that can arise from poor oral health. Effective communication is among the most essential skills that dentists can have. A dentist informs the patient about diagnosis, treatment options and preventative care. Part of the job is being able to provide and explain technical information. One of the things that people often notice in their dentist is the depth of knowledge and experience. This means that you need to pay keen attention to how a dentist deals with you or your loved one’s case. Experienced dentists are typically easy to work with and are able to take fear and anxiety out of the situation. This gives you the assurance that you are in capable hands. Knowledge is accumulated by dentists over the years and through practical experience. Organising skills are important because patients want to know how they can reach their doctor and when he or she will be available. An organised schedule allows dentist to accommodate more patients.